Just beneath that roiling blue, there’s a whole universe of creatures and plants, predators and prey, mysterious beauty and danger that seems so far removed from our land-walking ways. 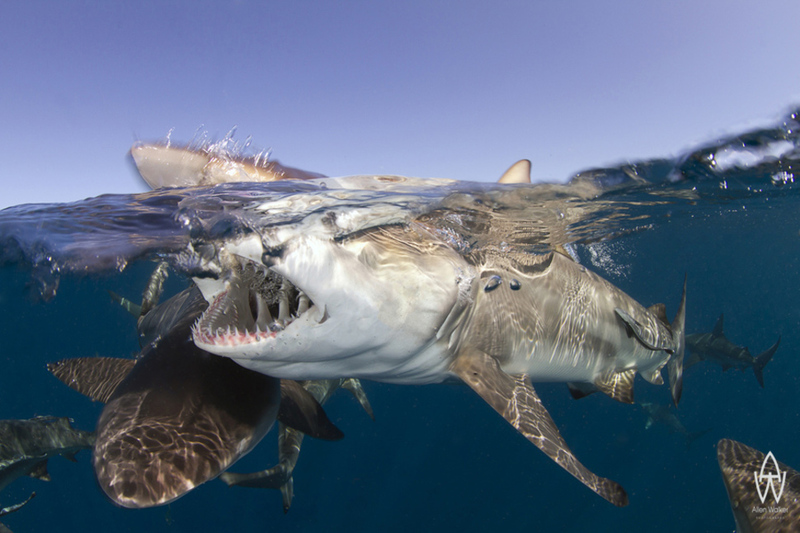 The line separating our world from the one undersea is thin – and these clever photographers have done a wonderful job reminding us just how close (and how different) the two are! 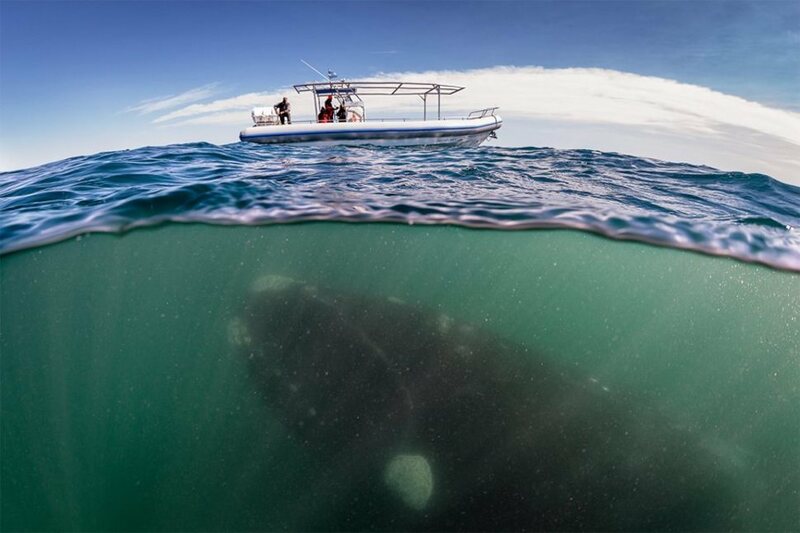 In a breathtaking moment of surprise, we see a massive whale drifting silently below the comparatively tiny fishing boat at center. This angle highlights the mystery and grandeur of the ocean spectacularly, starting off our collection on the right foot. There are few things in nature more incandescent, more bursting with the mutable dynamics of life than coral reefs. 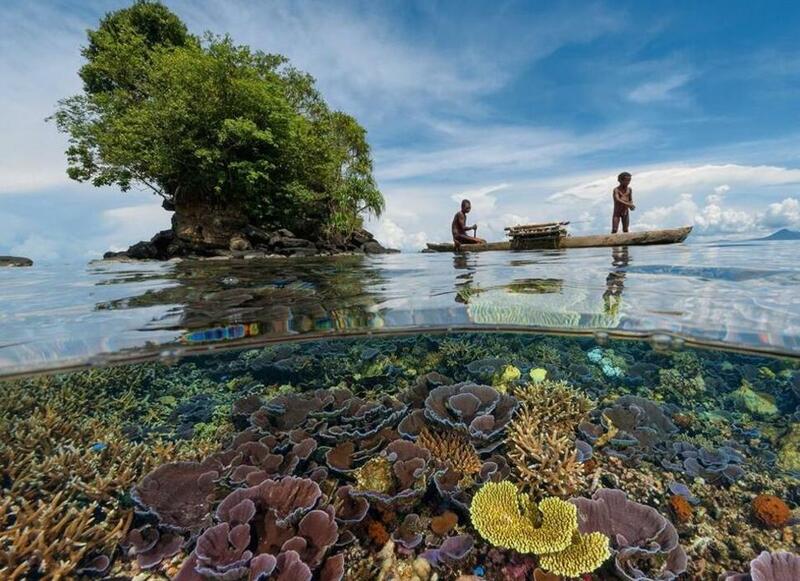 This shallow photo reveals an absolute cornucopia of color and shape resting just beneath a pair of native fisherman. We all know the telltale sign of a shark in the water, that image of a lone fin piercing the surface, etched in our collective consciousness as a harbinger of danger. Dipping just below, we can see the wonderful flurry of life present when a school of the creatures passes by. 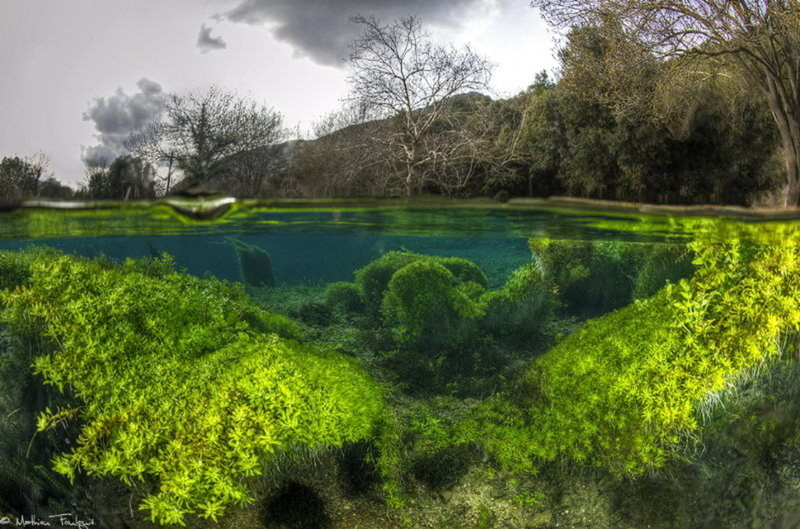 Using a longer exposure, the photographer was able to capture the luminous glow of algae and underwater greenery hiding just below the surface on an otherwise gloomy, overcast day. The bright reveal is a reminder that happiness can be found in the darkest of spaces. 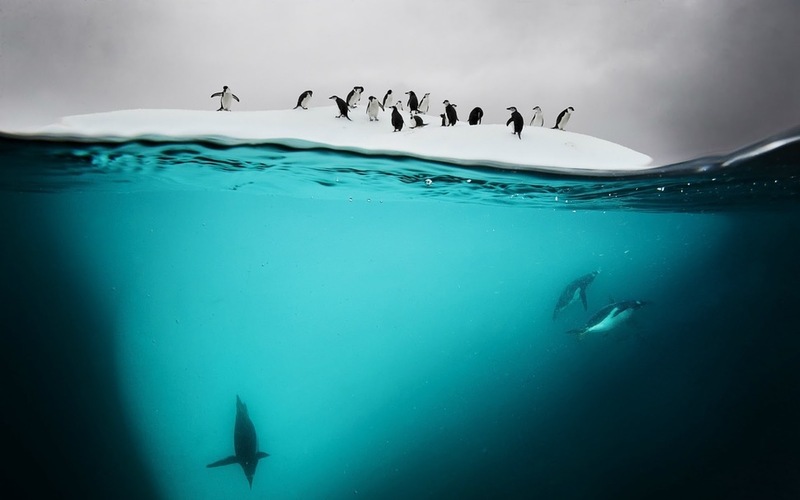 The extreme contrast between blue ocean and soft grey skies makes this a truly unreal image. Being able to appreciate the true shape of an iceberg is already one of life’s small pleasures; add a family of penguins and we’ve got a spectacular picture. 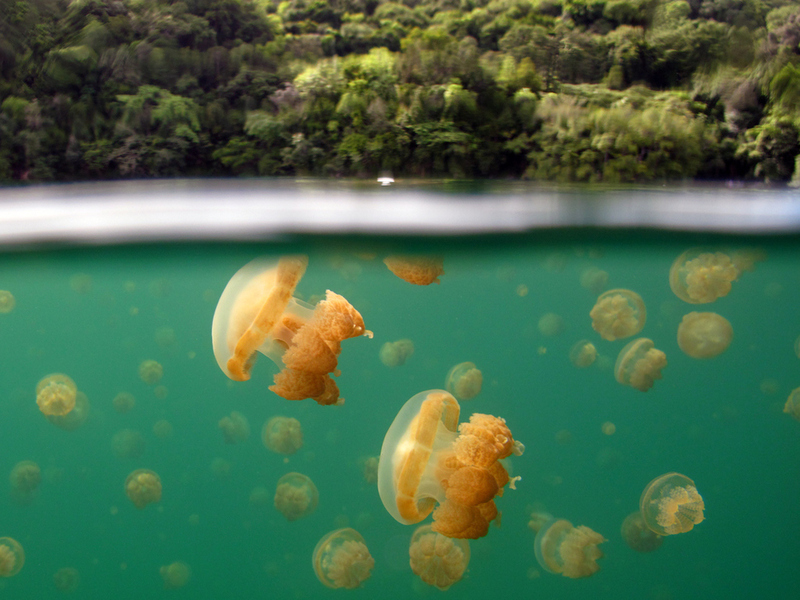 Piercing the veil of the ocean’s surface, we come face to.. well, not face, with a cloud of jellyfish. These mysterious creatures have startled, confounded, and stung us humans for generations, but it’s always a pleasure to see them floating gently in the currents. 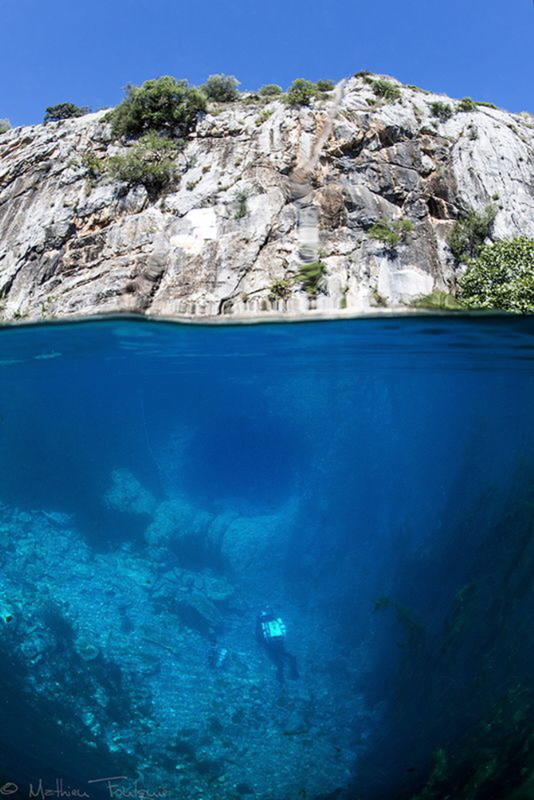 Beneath the pristine blue waves of the Mediterranean, we glimpse the captivating image of a scuba diver near an underwater cave. The sheer wealth of detail and sense of scale here is overwhelming.